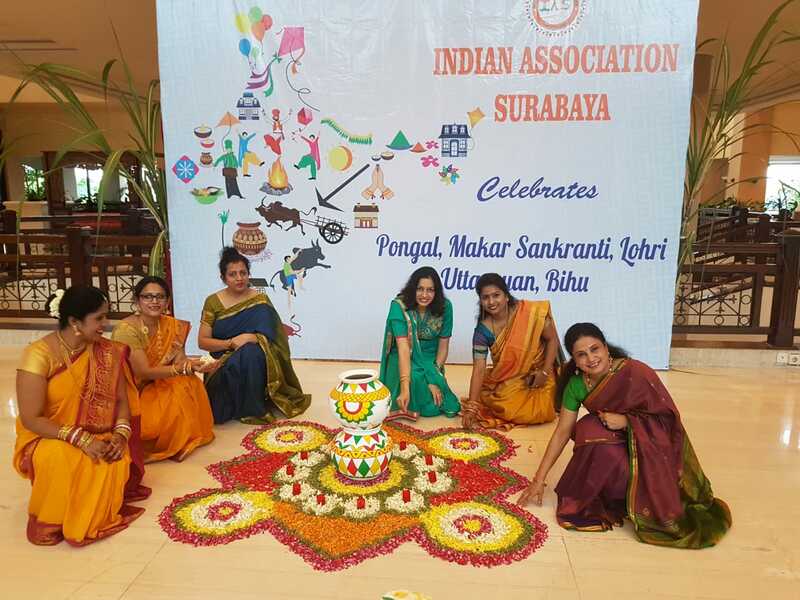 Indian Association of Surabaya (IAS) as the name suggest is the association of Indians in Surabaya, Indonesia. It comprises of 80 members in Surabaya. As it is a small group of Indians, the members are from all states of India …. Tamil Nadu, Andra Pradesh, Kerala, Maharashtra, Bengal, Punjab, Bihar, Assam, Haryana, Gujarat and so on. IAS plans a get together at least once in 2 months and sometimes every month also. Major functions celebrated in a large scale are Shankranti, Holi, International Yoga Day, Indian Independence day, Navratri and Diwali. 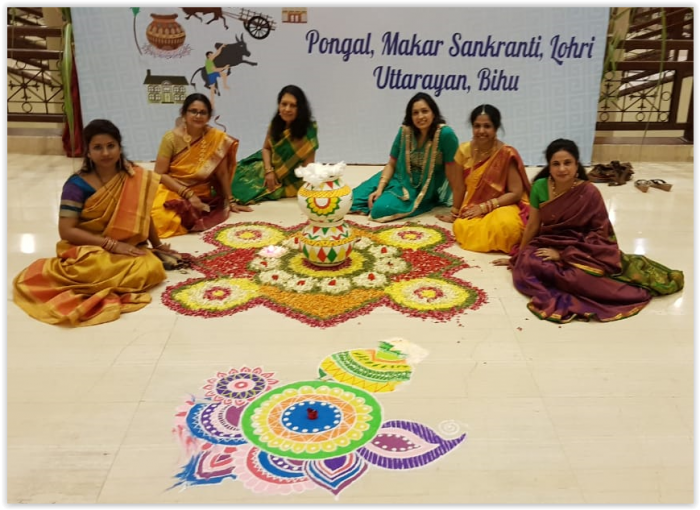 This year they celebrated Pongal, Lohri, Makar Shankranti festival on Saturday, 19 Jan. 2019. As most families return to home country, India, during December holidays, IAS does not celebrate Christmas or New year. In addition to social and cultural events, IAS does their bit to collect donations and contributions to serve disaster affected areas such as Lombok, Palu and recently the Sunda area where the Tsunami took place. The Executive Committee that was elected in April 2019 comprises of 2 Vice Presidents, 1 General Secretary, 2 Cultural Secretaries, 2 Sports Secretaries, 1 Treasurer and 1 Auditor, so that we always have a backup person in any particular capacity, to take decisions when someone is travelling. The current president post is held by Tara Banerjee.